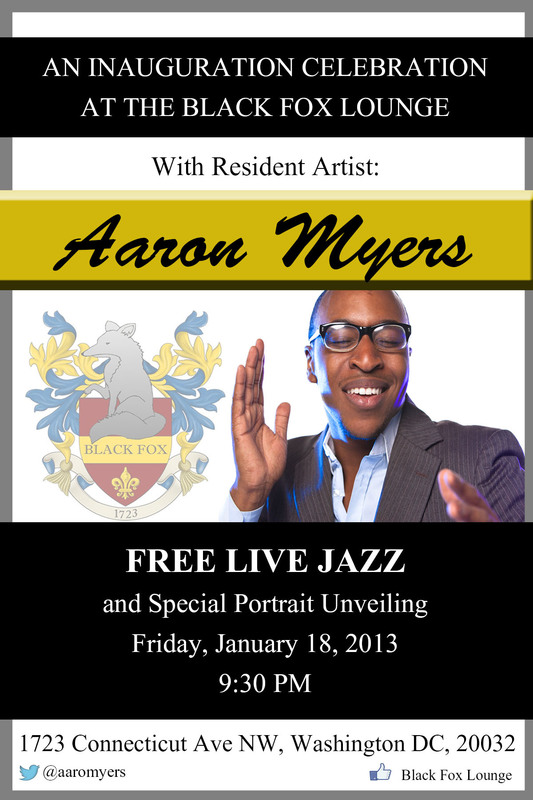 Washington, DC – January 18, 2013 — As the inauguration festivities commence, The Black Fox Lounge will continue to host Friday Nights of Live Jazz and Entertainment with DC’s favorite Jazz Artist: Aaron Myers. As Resident Artist of The Black Fox for three years, Aaron Myers has continued to bring an amazing show to the public every first and third Friday of each month and this inauguration weekend, he will make it even more special with the Unveiling of a Portrait by Curtis Williams. The Black Fox is a safe space to meet new friends, have a good time, and leave a hectic work week to start an exciting weekend celebrating the inauguration of our President’s second term in office. 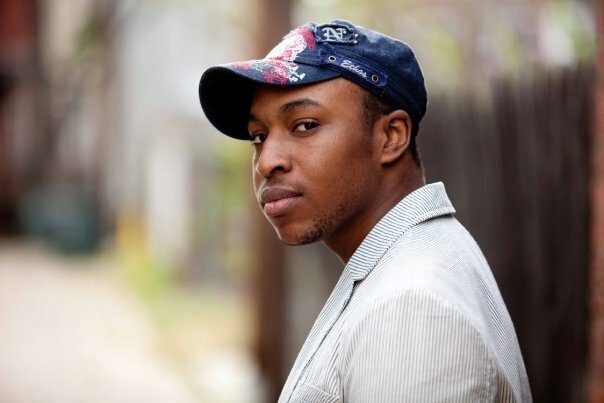 If one is looking for a night of laughter, fun, and a night they will never forget, head over to the Black Fox Lounge on 1723 Connecticut Ave NW Washington, DC. Admission is Free, drinks are strong, at the show starts promptly at 9:30PM. Two Year Anniversary at the Black Fox! Two years ago, I walked in by chance into the Black Fox Lounge as a customer. On Friday December 16th from 9:45pm – 12:45am I will walk in as the Resident Artist celebrating 2 years at the Venue. 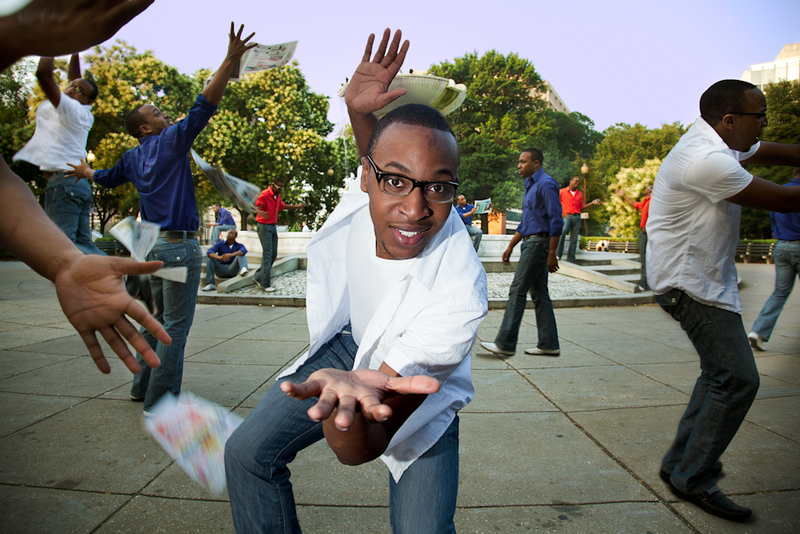 Over the course of these two years, I have been excited to participate in the Jazz Community here in the DC area, opening doors for me to provide music for special and private events but also very public events such as the 50th Peace Corps Anniversary Celebration and NALDA 100th Anniversary. As I celebrate this Anniversary on Friday, I will also be donating a portion of the revenue from the night to the Future of Music Coalition, a cause I believe in whole-heartedly. This organization works to ensure a diverse musical culture where artists flourish, are compensated fairly for their work, and where fans can find the music they want. Please join me at the Black Fox Lounge 1723 Connecticut Ave NW, DC for this Free Event on Friday December 16th from 9:30pm – 12:30am and help me celebrate my Second Anniversary in the tradition of the fantastic jazz musicians of old…swinging.